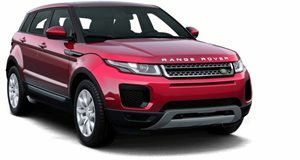 Land Rover injects some color into the best-selling Range Rover Evoque with a new special edition model. With the release of the Sicilian Yellow Special Edition Evoque, Land Rover has doubled the number of special editions of its best-selling model in one fell swoop. For those wanting added exclusivity, options were previously limited to the Victoria Beckham edition and tuners like A. Khan Design. Now buyers can opt for the Evoque Sicilian Yellow that comes with bespoke paint jobs and debuts the Black Design pack for the popular and stylish Range Rover Evoque. The new special edition model is based on the Dynamic trim and is available for both three- and five-door models as well as the Evoque&apos;s diesel and gasoline powertrains. Buyers can opt for either a striking Sicilian Yellow paint job with contrasting Santorini Black roof and door mirrors, or vice versa (i.e. a black paintjob with a yellow roof). The Bumblebee theme, also recently featured on a special-edition Smart ForTwo, continues in the cabin, where yellow contrast stitching adorns the seats, door trim, central fascia and central storage area. The Black Design pack adds a rear spoiler, darkened headlights and front fogs, clear rear lamps, and 20-inch gloss black forged alloys. It also includes dark exhaust tips, black Range Rover lettering, and black-painted bumper sections. Currently on display at the Brussels Motor Show, deliveries of the Range Rover Evoque Sicilian Yellow Limited Edition will begin in May priced at an estimated £45,000.